In the past, defibrillators were complicated machines that only medical professionals with extensive training in heart rhythm interpretation could operate. Today, we have automatic external defibrillators, or AEDs, which are compact, portable and easy to use. They are no longer limited to emergency rooms but can now be found in schools, offices, recreational centers, malls, airports and even homes. It is estimated that approximately 20 percent of all police vehicles carry AEDs to improve response times with sudden cardiac arrest (SCA) victims. Of the SCA deaths that occur each year—estimates range from 250,000 to 400,000—more than 95 percent of the victims die before they ever reach the hospital. However, when care is provided within five to seven minutes, including early treatment with an AED, survival rates can improve dramatically. In fact, according to the American Heart Association (AHA), studies have shown that sudden cardiac arrest victims who received immediate defibrillation (with an AED) had up to a 60 percent survival rate one year after sudden cardiac arrest. These studies also point out that, while most organizations typically have disaster preparedness and active shooter plans in place, very few currently have AED plans or programs established. Shocking, considering that all 50 states have enacted laws or regulations regarding AEDs. The Cardiac Arrest Survival Act of 2000 encourages placement of AEDs in public settings and also provides limited immunity from civil liability to a person who uses or attempts to use an AED on a victim of a perceived medical emergency. While laws can vary from state to state, they generally address AED availability in public buildings, conditions of use, medical oversight, training requirements and post-event reporting. Incorporate a “Good Samaritan” exemption from liability for any individual who renders emergency treatment with a defibrillator. Provide regular training for multiple employees in the use of AED devices by potential users. Require all AED devices to be maintained and tested to manufacturer’s standards, and develop a schedule and accountability measures for maintenance. Create and post a registry of the location of all AEDs on the property and/or notify the local emergency medical authority. 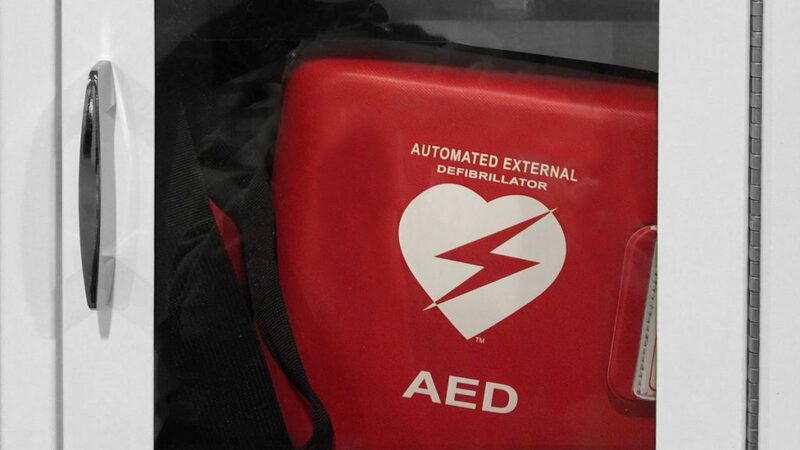 AEDs can very easily be added to existing emergency response programs, which should also include the use of 9-1-1 and delivery of cardio pulmonary resuscitation (CPR). Be sure to have your legal counsel and, if appropriate, your risk management or safety team review your AED program. An AED consists of a small computer (microprocessor), electrical circuitry and adhesive electrode pads. The electrodes collect information about the heart’s rhythm while the microprocessor interprets the rhythm. If the heart is in ventricular fibrillation, the microprocessor recommends a defibrillating shock. The shock is delivered by the electrode pads through the victim’s chest wall and into the heart. The shock stuns the heart momentarily, stopping all activity. This gives the heart a chance to restart normal electrical activity and resume beating correctly. If either breathing or a heartbeat is present, an AED will not allow the rescuer to shock the victim. According to the American Heart Association, a fibrillating heart, which is known as atrial fibrillation (also called AFib or AF), will not permit adequate blood circulation even if CPR is performed perfectly. The only recognized treatment for cardiac arrest is early defibrillation that electrically shocks the heart back into a normal rhythm to correctly circulate blood. 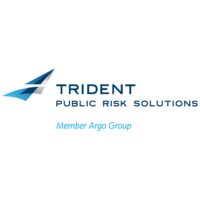 Frank Mazzagatti, Risk Control Consultant, brings more than eight years’ experience in insurance in the areas of risk control, underwriting and business development. He achieved the Associate in Risk Management (ARM) designation, the Risk Assessment certification from the American Society of Safety Engineers and the Managing Cyber Risks certification from the American Institute for Chartered Property Casualty Underwriters. Frank holds a BA in Business Management from Our Lady of the Lake University. 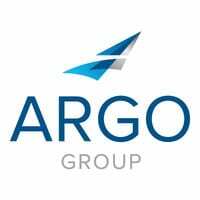 Argo Group announces it has entered into an agreement to acquire Ariel Re.